Christina Lee: Harry and Hermione and Dan, Oh My! Harry and Hermione and Dan, Oh My! 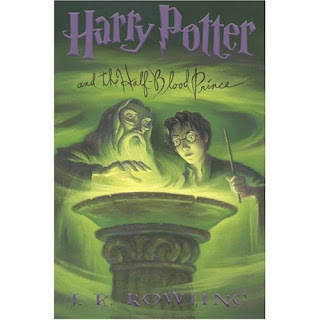 Right now I am on book Six of the Harry Potter series. Yeah, I know what you're thinking--a little late, huh? Not exactly. When I was teaching I got to book four with my students and that's where I ended. Oh and by the way, reading the Harry Potter series out loud daily to your class can prove to be difficult...on your tongue. I would always get tripped up on Hermione--haha! A couple of months ago I decided to finish reading the series--and to complete my seven book collection so that my five year old can own and read all of the books some day. One of the things J.K. Rowling does very well (besides using her incredible imagination), is set the scene for you in very vivid detail. I can always picture exactly what is going on. That is something I struggle with as a writer. You know how some writer's give too much detail? I am guilty of not giving enough. Something I am working to change! 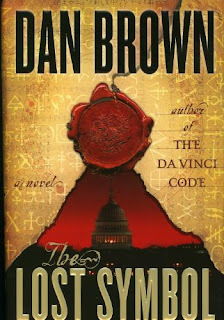 I also began reading Dan Brown's new book. I've read and enjoyed all of his other ones. Sadly, I've seen the movies but haven't read any of the books! Hi. My Hub recently read Lost Symbol and liked it. I havent read it yet. I am reading Durable Goods by Elizabeth Berg. Sad and compelling. I am an absolute Potter fanatic. Love all of the books. I have my faves, book four among them. I hope you enjoy them. JKR really has a talent for making you love and care about the characters. If you have never heard them read aloud by Jim Dale you must. He is an amazing talent. I may just embed a clip on my site for fun as I reread some lately. Click here for a sample! My day job is librarian, thanks for reminding me why I love it! I have all of the audios! If you have a classroom you may want to invest in one of them, especially as younger kids missed the boat and didn't read book one. They are the bomb. I am reading The Girl WHo Kicked The Hornet's Nest. I never really enjoyed the Harry Potter books and never made it past the first three. I haven't read any of the Harry Potter books! Maybe when my daughter is older we'll read them together? I just finished Audrey Niffenegger's new book Her Fearful Symmetry, and was blown away. Loved it. Now I'm reading John Irving's latest: Last Night in Twisted River. I feel like this is a sin to admit as a book seller, but I haven't read all the Potter books. I read the firs three back-to-back when my oldest son, who is now 12, was a toddler, but I haven't been back! I have all but the last book, and every summer, I think that will be the season I plow through them, but I never do. I'm going to buy the last book soon (when my extra store discount kicks in!) and complete the set I have, and I swear, swear, swear I will read them. One day. Maybe with my grandchildren! I'm sad to admit that I've only read the first Potter--outloud, though, and you're right about Hermione! Maybe that should be my goal for the summer. It's about time I catch up with the rest of the world! JK Rowling is a genius, yes. Love all HP books. I stopped reading Dan Brown books after Angels & Demons, though. Is the new one good?